Miro Project - Thank you! We had a great time at the Hope Valley Fringe! 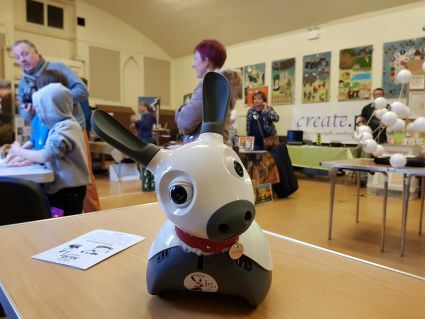 Sheffield Robotics had a great time at the Hope Valley Fringe Festival this weekend. 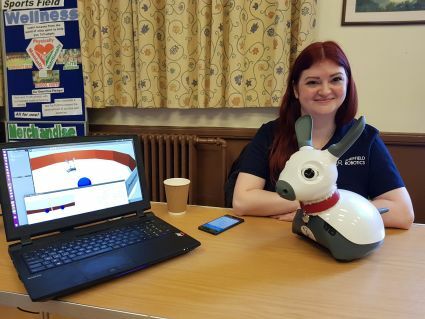 Many thanks to everyone that attended and come to visit Natalie and Miro at our stand in Hathersage Memorial Hall. Miro has been around the world in the last year, and so it's nice to visit such a beautiful village and meet new friends right on our doorstep. We'd like to thank the Hope Valley Fringe organisers and volunteers, particularly Martin Spence, for being such great hosts. And to everyone that came and talked to us about robots, and our work more generally, a big thank you - keep asking questions!